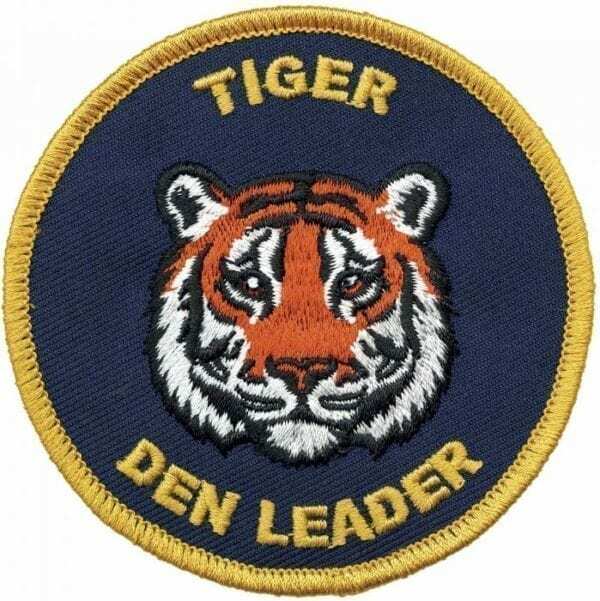 A Tiger Cub Scout Den Leader is an adult volunteer who is in charge of planning and running planning and running Tiger Cub Scout den meetings (a den is a group of 6-8 Scouts in 1st Grade within a Cub Scout Pack). The Den Leader works with Assistant Den Leaders to coordinate the den’s involvement in pack activities, and facilitate and track the den’s advancement. Worn on the left sleeve under pack numerals.